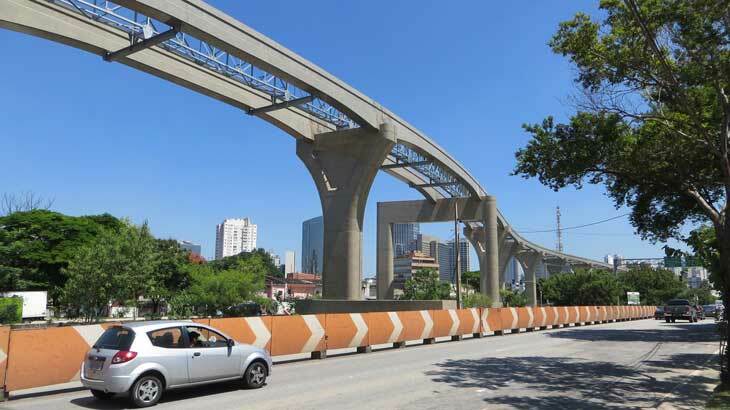 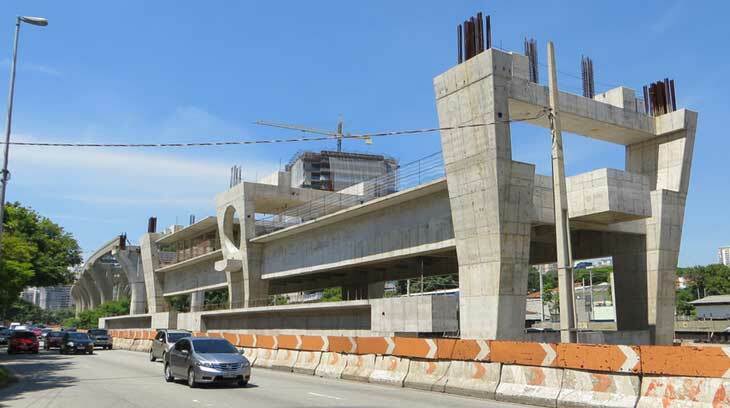 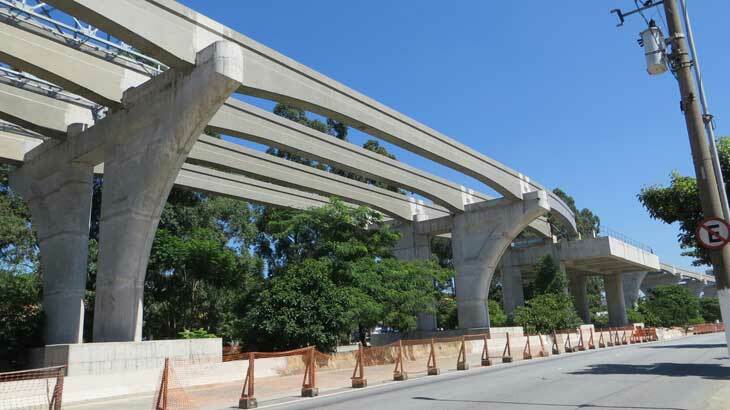 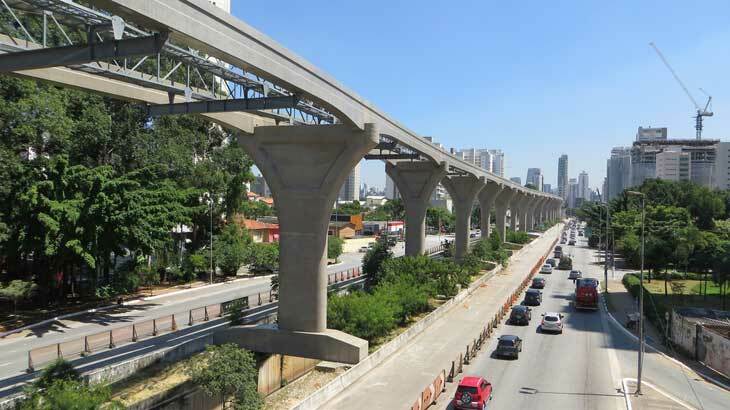 Sao Paulo Monorail Line 17 Const. 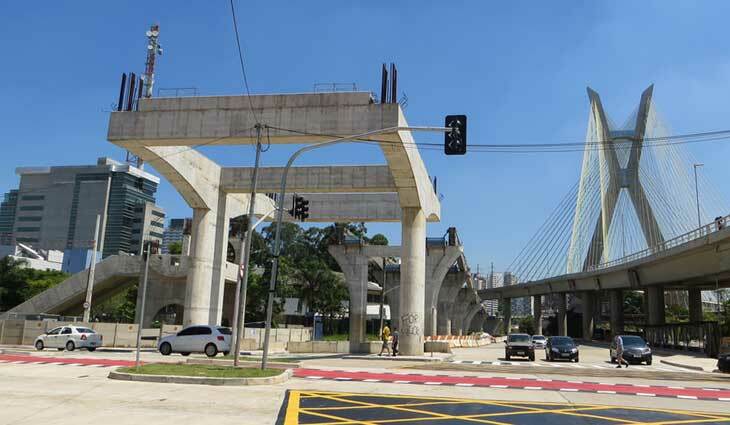 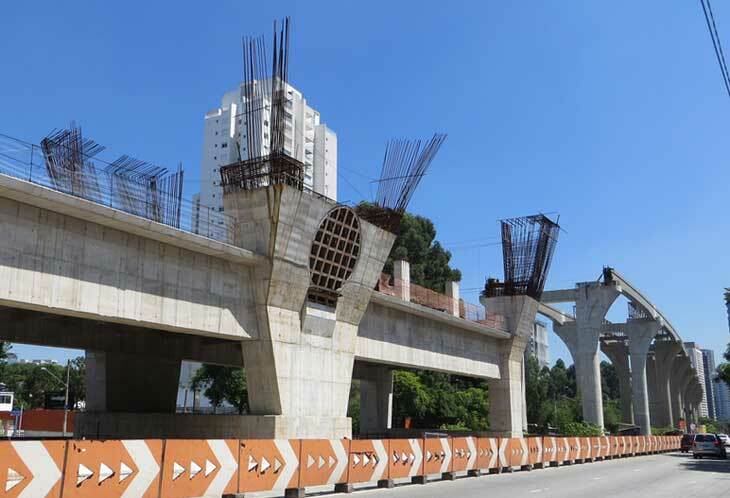 Construction Gallery - São Paulo, Brazil (Line 17). 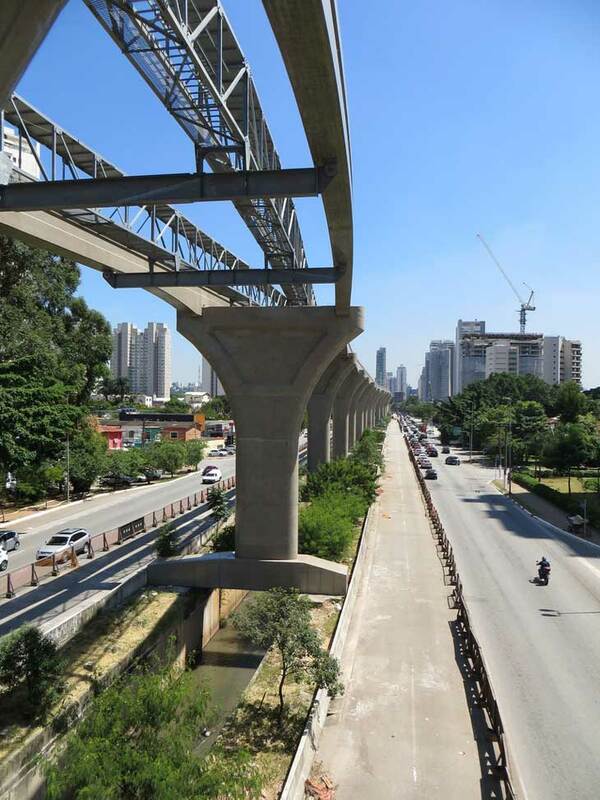 While Bombardier works to complete Line 15, at another part of the city Scomi works on Line 17. 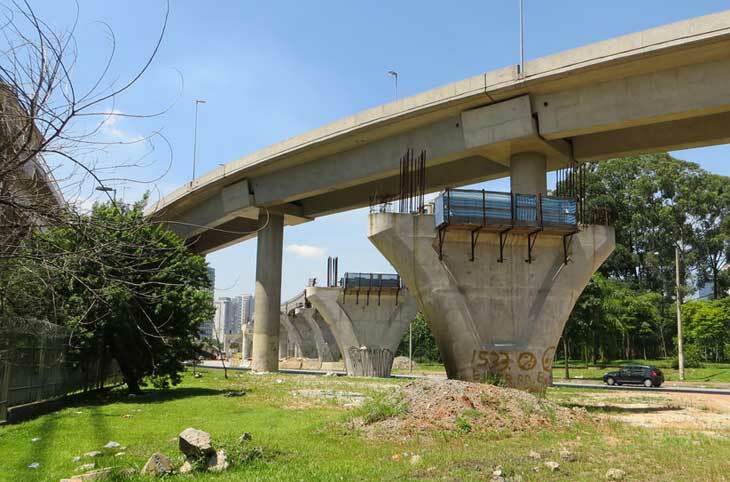 Scomi has also been contracted to build Line 18 next. 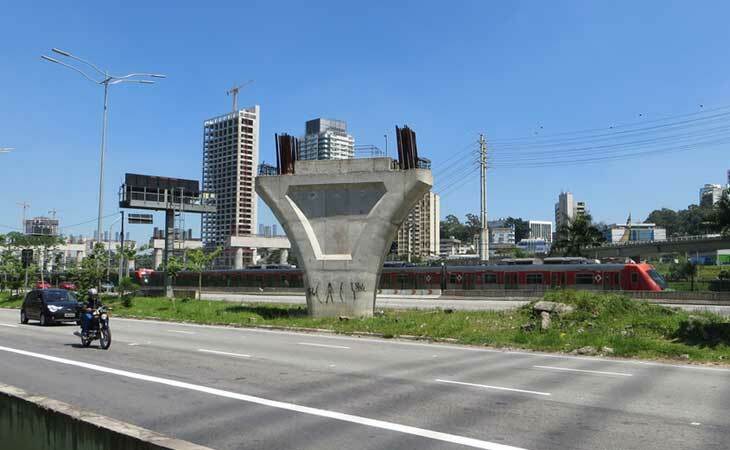 Chucri Zaidan Station is in the background. 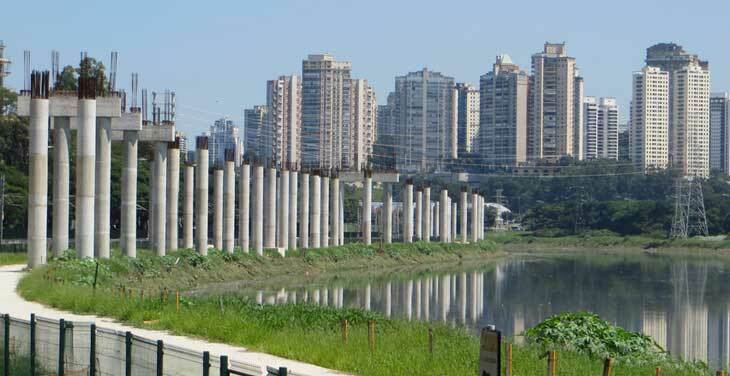 Pinheiros River is behind us.